August 1990...lowering a string of 3 photomultiplier tubes (PMTs). 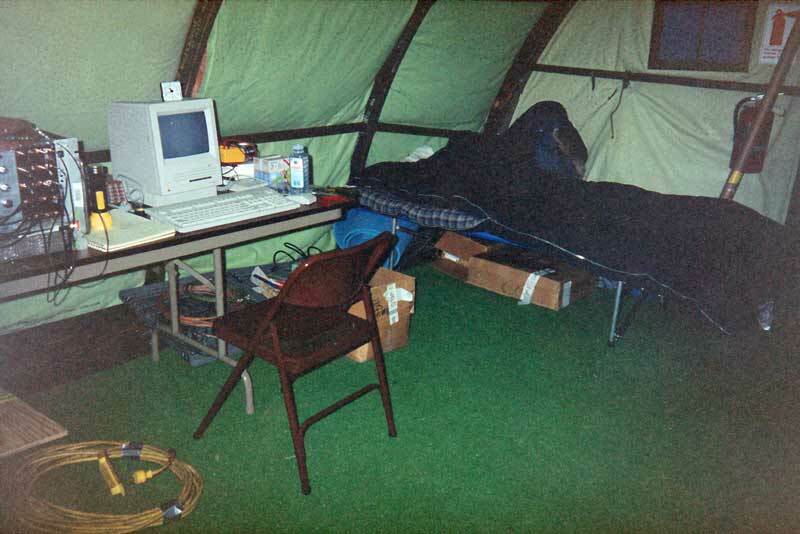 --at what would later become the site of NSF's Summit Station. The first proof-of-concept for what would evolve into AMANDA and IceCube at Pole, was a very brief (!) experiment involving three (!) 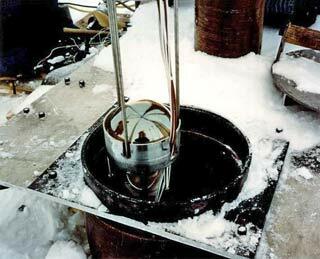 PMTs lowered into a 210 m 15 cm diameter drill hole at the GISP-2 site on the Greenland icecap. 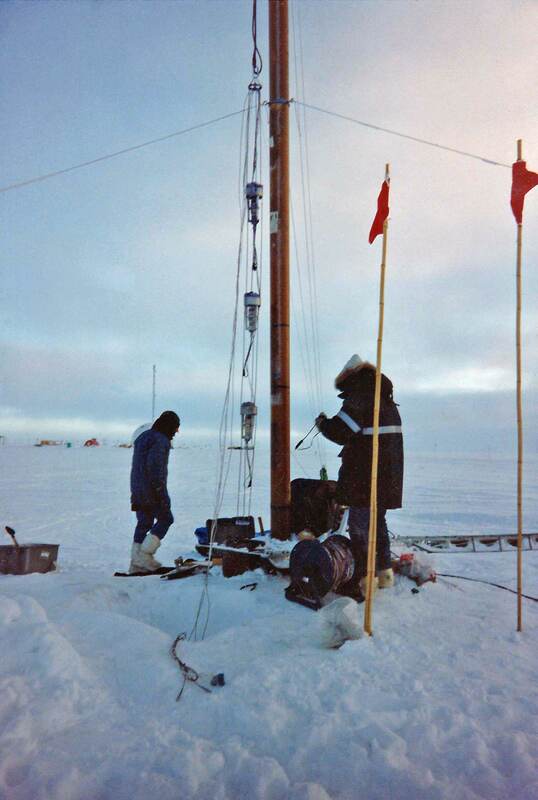 The project was developed at the University of California-Berkeley by Tim Miller, Steve Barkley and others, including some of the ice drilling folks at the University of Wisconsin. 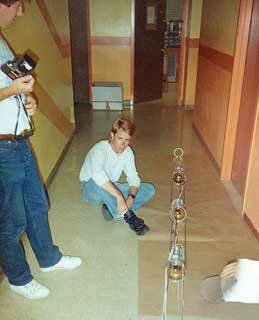 At left, Tim (right) and Steve with the PMT string assembly in a Berkeley hallway. 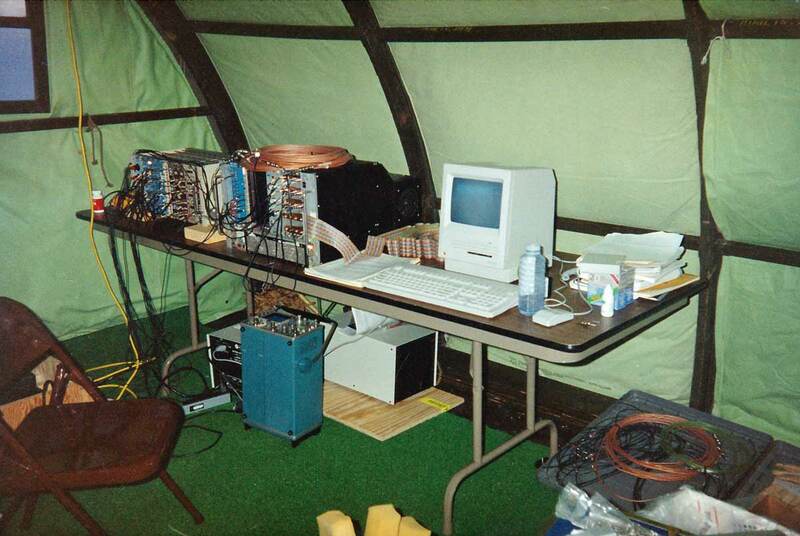 The project was based in part by the then-ongoing DUMAND (Deep Underwater Muon And Neutrino Detector) project conducted by an international consortium which included the University of Wisconsin. 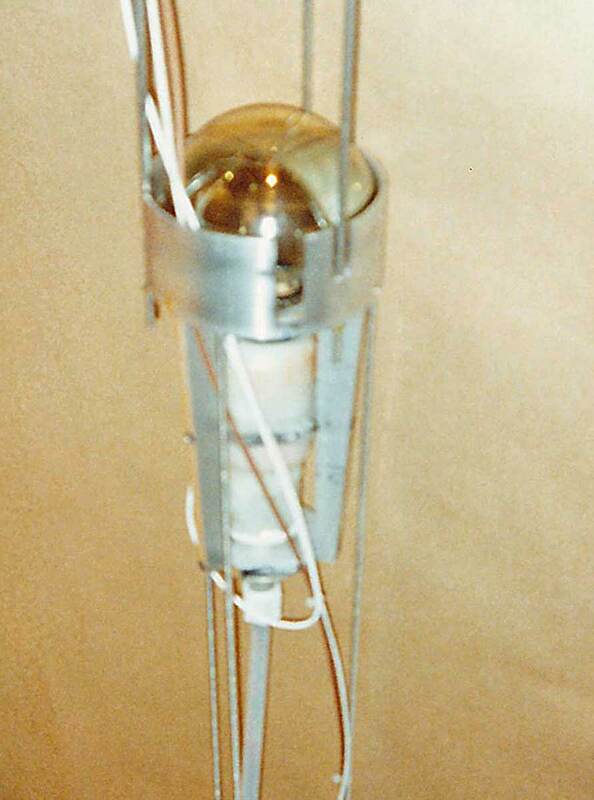 The Department of Energy (DOE) funded project operated between 1976 and 1995, eventually putting optical modules in 15,000-foot-deep ocean water offshore of Keahole Point, Hawaii. 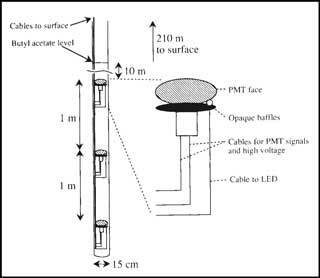 At above right, a closer view of one of the optical modules--they were about 13 cm in diameter, and did not not include a pressure vessel, as they were to not to be deeply submerged. These were deployed and recovered using only the various (and many) power and signal cables, with no separate hoisting cable. 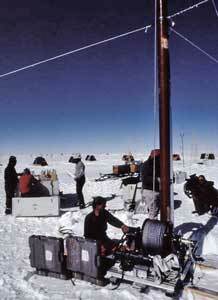 The drill hole itself was a 3 km bore hole "borrowed" from the GISP glaciologists. The fluid in the drill hole was not water, rather it was non-freezing butyl acetate...in part because the PMT string was to be recovered after the experiment. And Tim noted that the string got stuck during the the deployment (right, a photo from the IceCube news article cited below). 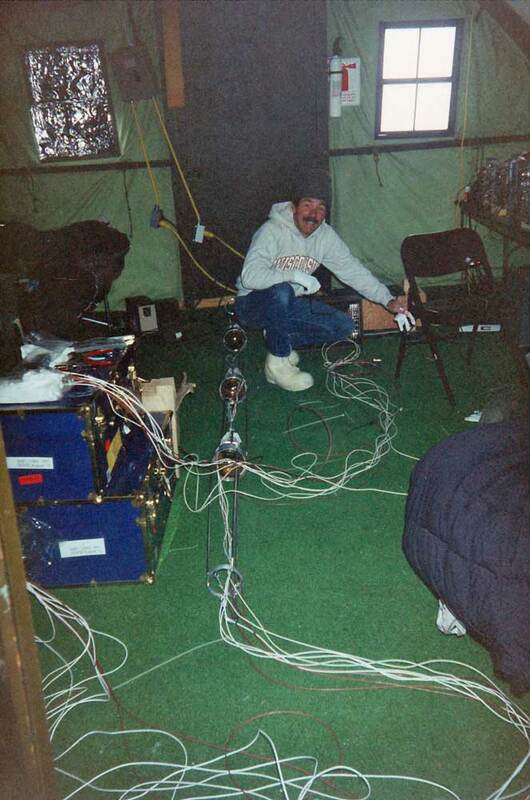 Several times, Tim had to pull up on the cables and then drop them, hoping to get past the narrow spots. It worked. 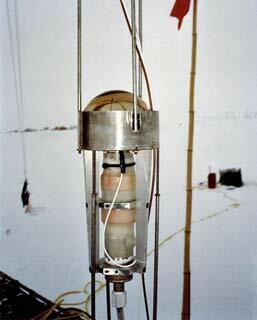 The goal, of course, was not to detect those sneaky neutrinos themselves, but rather the Cerenkov radiation emitted from the secondary muons. 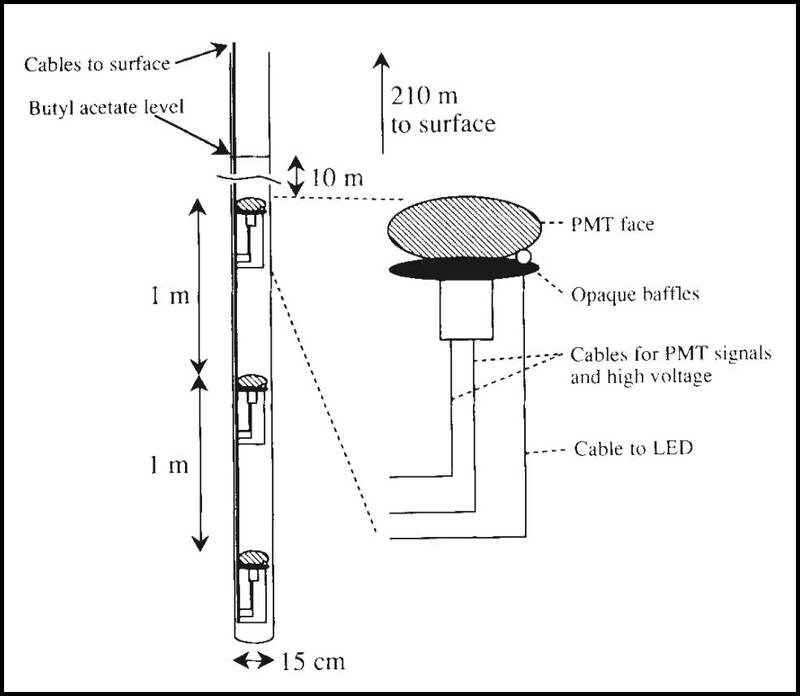 At left, a diagram of the deployed string. 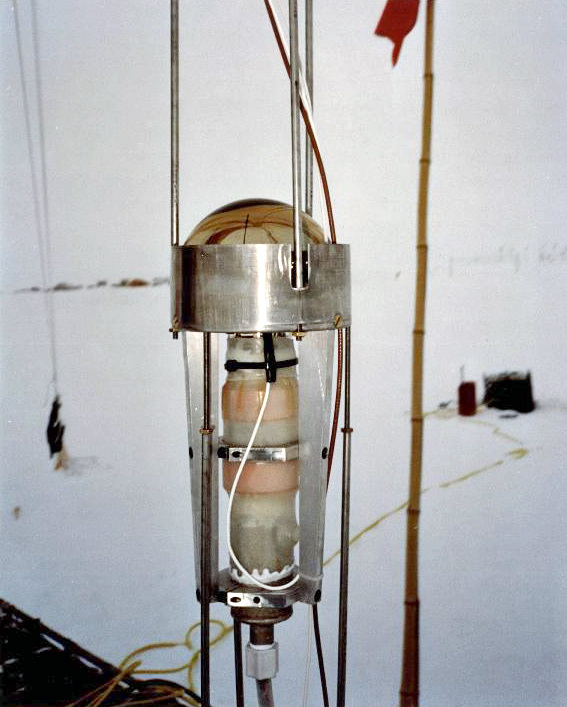 The test was brief by what might be normal standards...the string was lowered into the hole, and the high voltage was turned on at about midnight on 14 August. Data collection continued for 20 hours until 8 pm on the 15th...after which they still had to remove the string and pack everything up for the return trip. 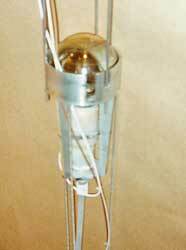 Everything worked--muons were detected, and the ice transparency at the required wavelengths was confirmed. 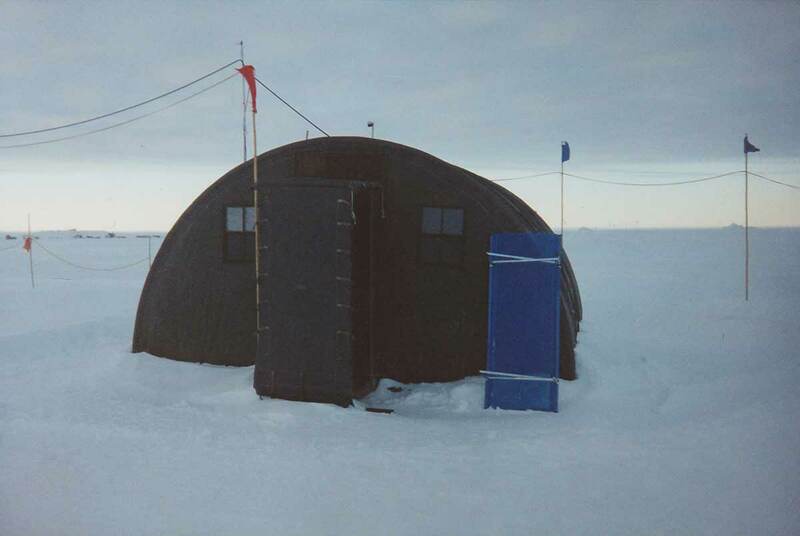 The difficulties yet to overcome (for the Antarctic project) would involve a more accurate determination of the transparency, density and bubble concentration in the Antarctic ice. And of course, the frozen water in the AMANDA and IceCube drill holes would result in different refraction results. The success of this brief project resulted in the 1991-92 deployment of a PMT string (four modules, not just three) behind Skylab at Pole. And the rest, as they say, is history. Below, a few more photos from the Greenland deployment. Your hero shot of Tim Miller with all of his baggage in front of the GISP-2 main building, the first incarnation of the Big House. ...which also served as living quarters. At left, Bob Morse untangling/dealing with the string cables inside the Jamesway. 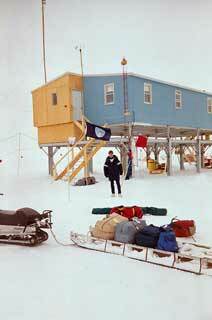 Tim and Steve would continue this project at Pole in the 1991-92 season. The Greenland project was documented in this Nature paper published in September 1991 (behind a paywall, but the abstract is visible). The string diagram above is from that paper; all of the other photos on this page unless indicated are from Tim Miller. This experiment is described briefly in this 1995 writeup about early AMANDA history by Doug Louder. More recently, in 2013 the IceCube project published this news article about the 1990 project, with several additional photos. My coverage of the next stage...the PMTs installed at Pole in 1991-92, is here.